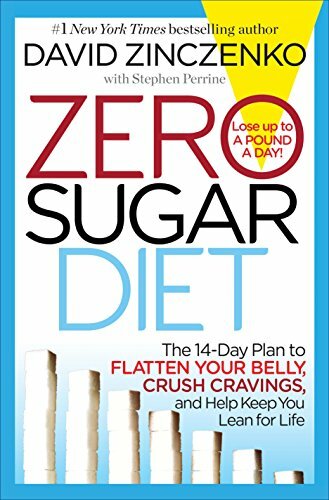 The no sugar diet is a great option for those seeking to lose weight and adopt a healthier lifestyle. Most sugars, particularly added sugars, are converted by the liver into triglycerides, a type of fat. This causes a drop in HDL (good) cholesterol and builds fat content in the body, and over time can lead to health problems such as type 2 diabetes or cardiovascular disease. Reducing or eliminating sugar from your diet can help minimize the risk of these illnesses. The World Health Organization recommends consuming no more than 5% to 10% of your daily calories from added sugar. For children, this can be as little as 50 to 140 calories, or 12.5 to 35 grams of added sugar, while adults should limit their intake to 22.5 to 80 grams of sugar. Most of us, however, consume far more than this recommended amount. Some adults have even become addicted, causing the brain to feel an intense biological need for sugar. The no sugar diet can help you create new habits and break cravings, which can help your life with a healthier, happier life. This article will explore the pros and cons of the no sugar diet, provide tips on how to get started, and delineate the differences between added sugar, naturally occurring sugar, and artificial sweeteners. If you want to learn more about how sugar might be affecting your life, read on! What Is the No Sugar Diet? 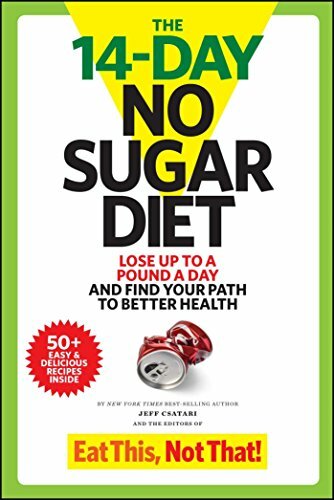 The no sugar diet aims to break one's dependence on sugar by replacing artificial, high glycemic index (GI) foods with high-fiber, natural low GI foods. Typically, this is accomplished by eliminating foods which contained "added sugars," or sweeteners which have been added to foods. Foods containing naturally occurring sugars - such as fruits, grains, or dairy products - do not necessarily need to be cut out, though some do follow a stricter version of the no sugar diet which involves eliminating even fruits from your diet. Artificial sweeteners such as Splenda, are also not allowed in a no sugar diet. Sugar is a difficult substance to remove from one's diet because the brain is trained to seek out sugar. Our earliest ancestors learned that sugar indicated that fruit was ripe and ready to eat and that observation caused our brains to evolve and create neural "reward" pathways that are intensely stimulated by sugar. Functional MRIs reveal that these pathways are stimulated in similar ways by heroin, cocaine, and nicotine. Therefore, not only it is extremely difficult to break an increased dependence upon sugar - it is astonishingly easy to develop one. Beginning a new diet is always a challenge, and with sugar especially so as your body can go through minor withdrawal. However, the slower you ease into it, the less your body will notice the absence. Begin with a "low sugar" mindset instead of a "no sugar" expectation. Add less sugar to your coffee in the mornings; switch from soda to flavored carbonated water; add fruit to plain yogurt rather than choosing flavored yogurts. It takes time to train your palate to find sweetness from subtle sources. Be kind to yourself and take it slow. Make it a habit to look at the ingredients contained in every product you buy - and leave those with added sweeteners on the shelf. Make your own salad dressings or cook your own pasta sauce at home. Try to buy whole ingredients from the produce, dairy, or meat sections that you will cook yourself instead of prepared foods. You can also utilize apps such as Fooducate which can tell you how much sugar is added to a given product. One of the most common ways Americans ingest sugar is in beverages - and not just sodas. Juices, iced teas, flavored milk, and even some flavored waters all have added sugars that it is crucial to avoid. Change your drinking habits, and you will be surprised how much sugar you can cut out of your diet. Try drinking herbal teas or water with slices of your favorite fruit in it. You will have a beverage with great flavor without any added sugar! We often consume sugars when we're hungry and grazing to satisfy ourselves. However, if you have food ready to go, you won't even have to think about whether you're eating something with sugar when your hunger hits. Try cooking in bigger batches and using the leftovers as lunches, or you can freeze large batches of soups, stews, or casseroles. Learn the terms for every type of sweetener that might be added to a product you would buy at the grocery store. There are dozens of words for sweeteners - we have listed some of the most common below. Simple carbohydrates offer little nutritional value to the body as they are broken down by the digestive process into sugars. White bread, white rice, and pasta made with white flour are all examples of simple carbohydrates. Instead, try subbing these foods for whole-grain versions - multi-grain bread, brown rice, and whole wheat pasta are great examples. You can also venture further into the land of complex carbs and try out more "exotic" whole grains such as quinoa, farro, and bulgar wheat. The most general rule to follow is that you want to consume "whole" foods, meaning the raw ingredients rather than the processed product. For example: opt to make your own pizza from scratch. When you make the dough, the tomato sauce, and the toppings, you can control exactly how much sugar goes into your dish. When you buy a frozen pizza from the supermarket, there is more likely than not a significant amount of added sugar in that product. Whole complete foods include vegetables, fruits, lean meats, poultry or tofu, fish, nuts and seeds, and whole, unprocessed grains and legumes. Another simple way to think of this is that you want to avoid the center aisles of the grocery stores, and instead make most of your purchases from the sections near the walls such as the produce section, the butcher, or the dairy. Most foods found in the center aisles of grocery stores contain added sugar. If your local grocery store has a bulk section, that section is another great option, as you can find raw products with no additives there for less than their packaged equivalents. Artificial sweeteners are often thousands of times sweeter than normal sugars, which allows them to trick the brain into thinking that you are consuming sugar. As a result, your brain continues to crave sugar, which can make it more difficult to change your eating habits. Thus, it is important to learn the names of different artificial sweeteners and avoid buying or using products which contain them. Sweet-tasting spices can help you transition from added sugar in your foods and drinks. Cinnamon, vanilla, nutmeg, cardamom, and others enhance the flavor of the food to which they are added and add a subtle sweetness to their flavor. Try adding them to coffee, tea, oatmeal, or yogurt. Their bold flavor will stimulate your palate in new ways, making the absence of sugarless noticeable. However, removing sugar from your diet can be a difficult road. You may experience some symptoms of withdrawal, headaches, or appetite fluctuations. Therefore, progress slowly, stay hydrated, and always have a quick, nutrient dense snack, like almonds, on hand. 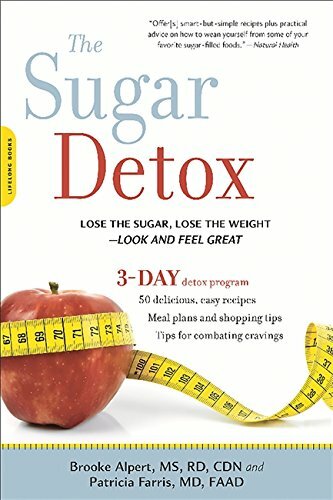 The no sugar diet is a great option for those trying to get healthy and lose weight. The elimination of sugar, whether simply added, or both added and naturally occurring, can grant significant health benefits over time. By implementing a few simple tricks and habits, you can easily transition to a no sugar diet and start living as your best, healthiest self.